Hardcover, 9 x 11 in. / 112 pgs / 65 color. Essays by Tracey Bashkoff, John Hanhardt, Frederic Tuten and Russell Ferguson. The American artist John Baldessari rose to prominence in the late 1960s, combining Pop art's use of mass media imagery with Conceptual art's use of language to create a unique body of work that has become a hallmark of postmodern art. Early in his career, Baldessari began incorporating images and text utilized by the advertising and movie industries into his photo-based art. He appropriated pictures and movie stills, juxtaposing, editing and cropping them in conjunction with written texts. The resulting montage of photography and language often counters the narrative associations suggested by the isolated scenes and offers a greater plurality of meanings. The layered, often humorous compositions carry disparate connotations, underscoring how relative meaning can be. 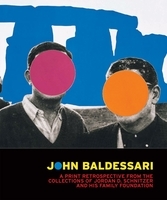 Throughout his long and celebrated career, Baldessari has continued to play with and critique popular culture, and over time he has increased the scale and visual impact of his work. 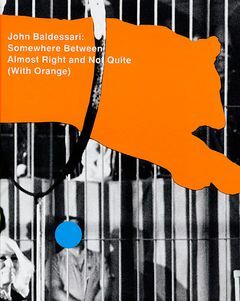 This publication looks at new works Baldessari created on commission for the Deutsche Guggenheim. 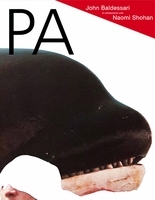 FORMAT: Hardcover, 9 x 11 in. / 112 pgs / 65 color.